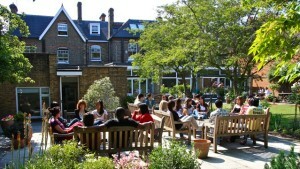 Wimbledon School of English offers quality education in a perfect London location, and is one of the oldest schools in the UK. We have been named as one of the top UK centres of excellence (from British Council inspection reports) every year since 2010, and achieved top marks in all parts of our ISI inspection. You can choose from a wide range of full-time and evening courses, taught by our highly experienced and professional teachers, including general English, English for business, law, academic English with IELTS, PTE academic, Cambridge First Certificate, advanced and proficiency examinations, and teachers’ courses. We are an IELTS and Cambridge exam test centre so you don’t need to travel to take your exam! Our multimedia Study Centre has a teacher to help with your language learning in your free time. Our other facilities include a large, comfortable student lounge, free wi-fi and a snack bar. We have excellent accommodation near the school in host families and student houses. Our lively sports and social programme includes many free activities – dance evenings, parties, films, squash, badminton, basketball, football and, of course, tennis! 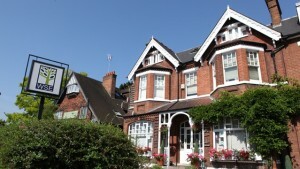 We are in a lovely building with a beautiful garden in the centre of Wimbledon, just three minutes from Wimbledon train and Underground stations, and only 20 minutes from central London. Wimbledon is one of London’s safest and richest districts with excellent facilities (theatre, cinema, shopping, sports centres, and over 100 cafes, restaurants and bars) and good transport links. WSE: where quality really matters.